The great educationist C. W. W. Kannangara, was a veritable gold mine of information. His oratory was mesmerizing, his language, rich and impeccable. Following are a few words he uttered in his inimitable style presenting the Free Education Bill. “The great Roman emperor Augustus once blew his own trumpet stating that he turned the brick laid Rome into a marble laid Rome. On this occasion, please allow me to say this. I humbly tell you, I am responsible in giving free education to all. Remember all this time, you got education for a big price. You paid a very big sum. I opened a book, which was closed all this time. I opened the door of education to the poor, which was once meant only for the capitalist class of this country. It was once a right of ‘haves’ only. I opened it to ‘Have nots’. Christopher William Wijekoon Kannangara - popularly known as C. W. W. Kannangara was a born Leader - ‘Yuga Purusha’ ‘Man of the Era’, who was instrumental in bringing a social revolution in this country, through education. We all respect this great personality as the Father of Free Education in Sri Lanka. Education is an investment in a person’s future. It is the most powerful weapon, which you can use to change the world. Patriot Kannangara was instrumental in introducing free education, whereby opportunities were given to poor village children, to further their studies. C. W. W. Kannangara, was born on October 13, 1884. He hailed from Randombe, a village, sandwiched between Balapitiya and Ambalangoda. His parents were John Daniel Wijekoon Kannangara and Emily Wijesinghe. Little Kannangara had his Primary Education at Wesleyan Mission School in Randombe. Even as a child, he showed promise and leadership. At the school prize giving he collected all the prizes, and shone as a Bright Star of the future. Sheer dint of merit, caught the eye of Richmond College Principal Rev. J. H. Darrel, a Cambridge Wrangler (Top Mathematician) who was the Chief Guest at the Prize Giving at Wesleyan Mission School, Randombe. Rev. Darrel patted little Kannangara and remarked “Son, you may have to hire a Bullock-Cart, to take home the books, you collected at this prize giving. This prize giving was the turning point of little Kannangara’s life. Rev. Darrel gave an opportunity to Kannangara to sit for the Richmond College Foundation Scholarship. He excelled in Mathematics and won the scholarship. This enabled him to have free board, and lodging at Richmond. Kannangara who hailed from a village knew the difficulties that a rural child undergoes in Education. Therefore, it would have been a dream for Kannangara to help these rural children who does not get the facilities that a child in a elite school is provided. As Shakespeare said “Some men in their life play many parts. Kannangara was one of the few to perform all at the same time. He was a brilliant all round student and in 1903; he sat for Cambridge Senior Examination, heading the Ceylon and British Empire list in Mathematics, and brought honour and glory to Ceylon. Kannangara captained Richmond College First Eleven Cricket Team in 1903 and was a member of the College Soccer team. He was not only an academic, but also a fine sportsman. A rare combination indeed. He was an all-round student. He started his life as a Teacher at Richmond College. He taught his favourite subject Mathematics. Then, he served as a Teacher at Prince of Wales College, Moratuwa and Wesley College Colombo. While teaching, he studied Law and became a Attorney-at-law and passed out as a lawyer in 1910. He entered the Political Arena in early 1920s to serve his country in a big way. His mission was to serve the downtrodden. In 1923, he contested Galle bye-election, and entered the Legislative Council. He was re-elected Legislative Council in 1924. Under the Donoughmore Constitution in 1931, he was elected to the State Council and was appointed Minister of Education, which he held for 16 years. The first Education Executive of the State Council consisted of C. W. W. Kannangara, H. W. Amarasuriya, W. T. B. Karaliyadda, A. Ratnayake, G. R. de Zoysa, P. E. Madawela and Dr. S. A. Wickramasinghe. C. W. W. Kannangara was elected as the Chairman of this Committee and thus he became the First Education Minister of Ceylon. C. W. W. Kannangara’s Central School Concept was a great boon to the rural children. By 1941 there were 3 Central Schools. In 1945 it was increased to 35. By 1950 there were 50 Central Schools. With Kannangara’s thinking, every electorate at that time had one Central School. This helped the rural children, further their Education and enter the University of Ceylon. Father of Free Education, Educationist par-excellence, Kannangara granted scholarships to each Central School for needy brilliant students. This helped the rural students to pursue their University Education. In appreciation of the service rendered by C. W. W. Kannangara to Education the University of Ceylon conferred the Honorary Doctorate to C. W. W. Kannangara in their first Convocation held in 1946. Thus, he became Dr. C. W. W. Kannangara. Politics is a funny game. Great men are rarely recognised in their own home. A national hero, who did so much for education, was defeated at the General Election in 1947. Wilmot A. Perera of Sri Lanka Palee fame, was elected from Matugama electorate. From 1950-1952, Dr. C. W. W. Kannangara was the Ambassador to Indonesia. Again, in 1952, he was elected to Parliament from Agalawatta electorate, defeating S. A. Silva. Kannangara was assigned - the Portfolio of Minister of Housing and Local Government. He retired from Politics in 1956. He was a man of honesty and integrity. This Great National Leader C. W. W. Kannangara passed away on September 23, 1969. Dr. Kannangara laid emphasis on Swabasha, but he insisted the children to learn English and compete with the students of elite schools. He is a man of Multi-Cultural reach. Further, he was concerned about the poor Tamil children. 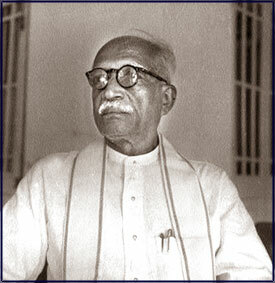 Kannangara’s Philosophy was to give opportunities to all students of this country. Dr. Kannangara’s concept of Central Schools, originated from his idea of equity that could cover all children, irrespective of the circumstances into which they were born. In addition to the sense of justice, he felt that giving special advantages to the more intelligent children all over the country would result in a better group of leaders that could forge the future of Sri Lanka. The end result has been that these children were privileged to attend the Central school, imitated by Dr. C. W. W. Kannangara. Today some of the leading Civil Servants, Academics, Doctors, Engineers, Lawyers, Bankers, Officers of the Defense Forces and men of very high standards are from these Central Schools.